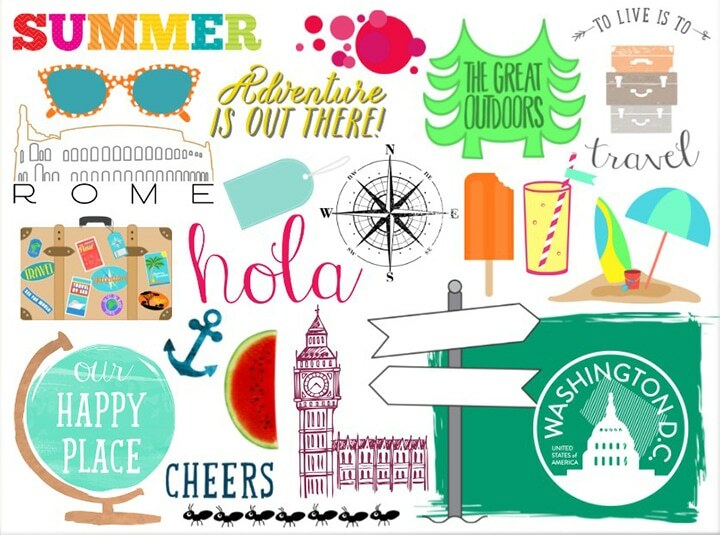 Take a moment to explore our range of Travel embellishments, there are plenty to choose from. The Travel folder includes: ‘Accents’, ‘Beach’, ‘Cities & Countries’, ‘Theme Park’ and ‘Phrases’. Whether you’ve been on a beach holiday or a city break, there is a range of embellishments to suit your needs. All featured embellishments can be found in the ‘Travel‘ folder. To try and inspire your inner creativity, we’re sharing different ways that we think you could use your embellishments through out your projects. Here we have used photo books, but you can add embellishments to lots of different products, such as canvas prints, posters, and more ! Instead of typing your holiday location, use an embellishment. We have a whole folder of fun and colourful ‘Cities and Countries’ embellishments. 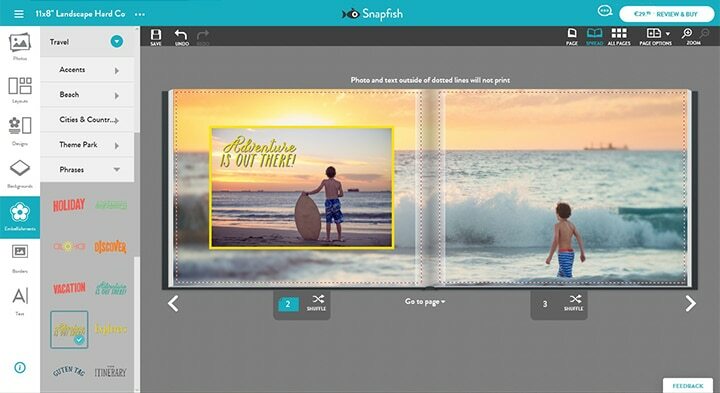 Showcase lots of your favourite photos by creating a collage page. A multiple photo layout is the best way to make the most of a single page. There are lots of multiple photo layouts available to choose from on the site. Travel embellishments are a great way to hide unwanted extras from your holiday photos, such as tourists. Simply cover them up by overlaying an embellishment of your choice. Tagged as embellishments, Holiday, ireland, personalised photo gifts, snapfish blog, Snapfish IE, travel embellishments, vacation.